In order to grow your wealth, you have to grow your savings. This can be done in a variety of ways. You can cut your spending so that you can save more money each month. You can also increase your income and keep your spending the same and save the difference. But at the end of the day, you still have to be smart with your savings. What do I mean by this? You may have some other saving goals, but for the most part, you can put your savings into one of these three buckets. The key though is that you have to treat each of these savings differently. What I mean by this is that just like there are three separate buckets, they too should have three different growth strategies. This is where knowing the various types of investments out there comes in handy. As low as interest rates are, many people are trying to find ways to earn more on their emergency savings. This can be a very bad thing. The reason is because the goal of an emergency fund is to have available cash should you need it, not to have the money grow. Having your money grow and not risk losing it are two competing forces and you can’t have both. Because of this, I say just accept the low interest rates. If you go to an online bank you can get close to 1% interest. I know, it’s still small, but it’s better than 0% or losing money by adding risk. Plus, and many people don’t look at it this way, the low interest rates are only temporary. They will rise in time. So before you do something foolish and risk your emergency fund, take a step back and remember why you have it in the first place. You can group a lot of things in to this category. Annual auto insurance premiums, vacations, house down payment, the list goes on and on. For most, this is the trickiest of savings categories because you want the money to grow, but you also don’t want too much risk of losing it. In this case, you are going to have to determine what makes the most sense for your situation and how comfortable you are with taking on risk (potentially losing money). No blog post or person can tell you what is right for you, only you know. All I can do (or anyone else) for that matter, is give you examples. In my case, my wife and I are saving for a house. We plan on buying in 5 years time. As such I have our money split between bonds and some large cap value stocks. The split is 70% bonds, 30% stocks. We have some risk from the stock exposure, but are currently earning a higher return both through share appreciation and dividends. Should the market drop, most of our money will be safe since it is invested in bonds. As our time horizon shortens, more money will go towards bonds and simply stay as cash. On the other hand, we have friends in the same situation. The only difference is they are using bank CDs. They earn a little more interest than a savings account, but are risking zero of their money. Neither one of us is right or wrong overall, but we are each doing what is right for us. Here is where you need to be invested in the stock market. Over the long-term, you need the higher return that stocks provide you with. If you are young and all of your money is in cash or bonds, you most likely won’t be able to retire unless you are saving the majority of your money or you plan to live on very little in retirement. I know that the stock market can be scary at times, but over the long-term, it is a great place to make money. The key is understanding how it works and then getting in control of your emotions. One important thing to know about the stock market is that Wall Street is out to make money. They aren’t interested in helping you to grow your bottom line, they want to grow theirs. This is why you have to be smart when choosing an investment and understand the fees you pay. You also have to stay invested for the long-term to avoid paying trading fees. Overall, you have to be smart with your savings so you can make the most of it. Make sure you understand the ultimate goal of each of your savings buckets and don’t try to mix a goal with a strategy that doesn’t fit. When you do this, you either cost yourself money by being too risky, as in the case of your emergency fund, or you risk not having enough money to retire on, as in the case with your retirement savings. 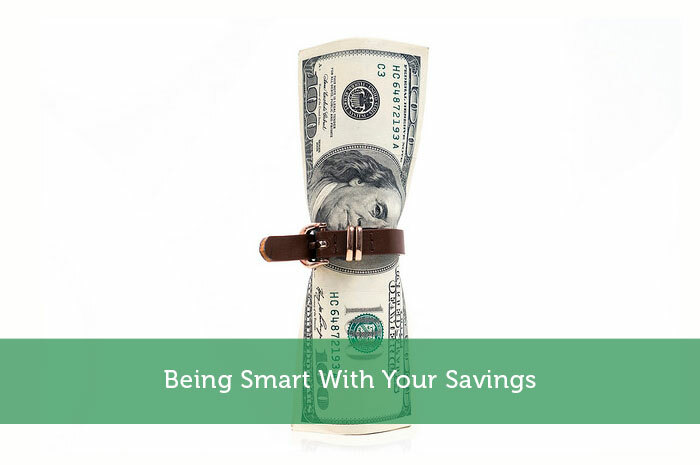 When you can break out your savings and stick to the stated goals for each, you are ensuring that you are being smart with your money and doing the right thing for your situation. Author Bio: Jon writes at Penny Thots, a personal finance blog whose writes about all things personal finance. The goal of the site is to improve your finances to positive, one day and one penny at a time. I started to become smart with my savings when I became a father. That is when I had emergency, long-term, and retirement fund. I just wish I had started before this. But, I am glad that I did because these particularly emergency fund are really helpful when I need money, something I can depend on.